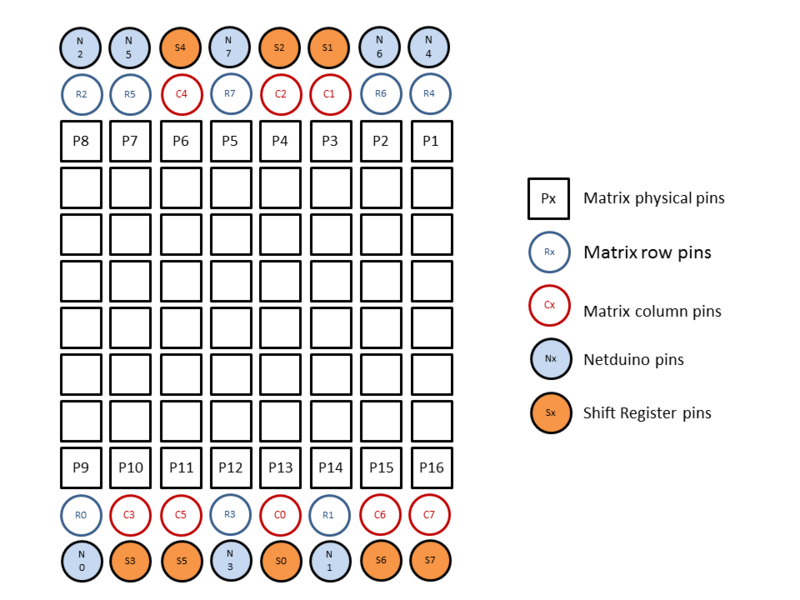 As part of a netduino hacking tutorial that I’m authoring with my friend Bertrand, I wrote a set of classes designed to drive an 8×8 LED matrix relying on persistence of vision. The code is posted here. Instead of creating my own font for this test, I went old school with a classic Commodore 64 font which fits nicely in an 8×8 matrix. Embedding the bitmap into the code required converting it to a monochrome .bmp file using Paintbrush, then converting it to hex codes with the help of EZBMP, which was trivial. Where to find parts for your netduino?